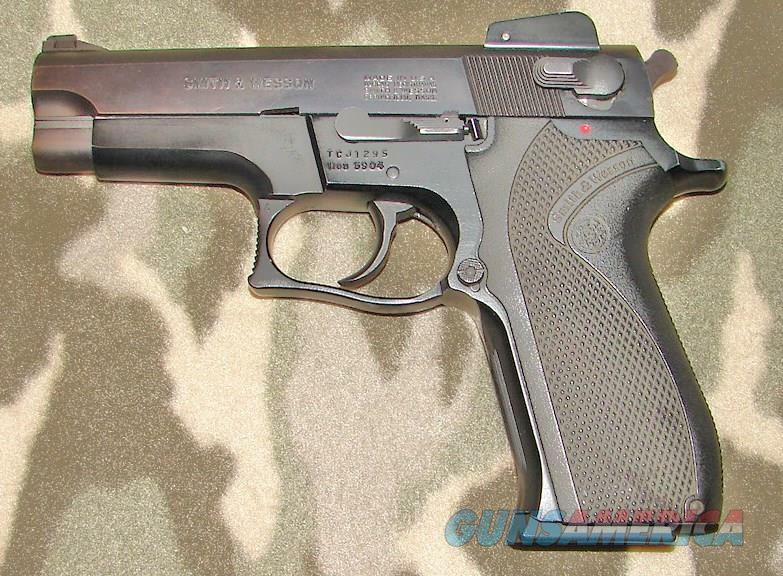 Description: Smith & Wesson Model 5904 Semi-Auto Pistol, 9mm 4” bbl with a bright excellent bore. This adjustable rear sight model manufactured 1 retains 96-97% of its original black finish showing light wear on the high points and some serious dings on the bottom of the trigger guard (as shown in the 4th pic) most likely from being dropped. The wrap around Xenon grips appear excellent showing little if any wear. Included is one original Smith & Wesson 14 round magazine. Function and mechanics appear flawless.